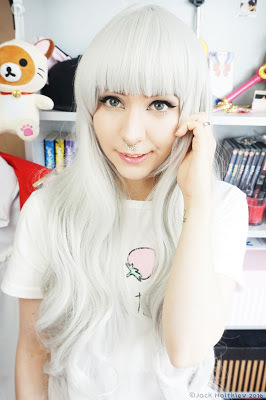 Wig-Supplier Review – Three New Wigs! 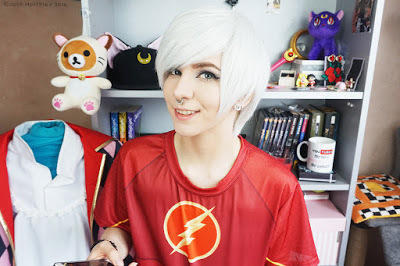 So I got a bunch of wigs from Wig-supplier just like I did the other year, and I also posted a video, which you can watch, and there you can see what the wigs looked like before ANY styling as well! 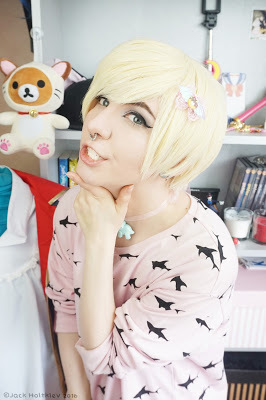 I have no intention on cosplaying Alois, even though I’m sure it would be fun, but this was looked so beautiful that I couldn’t resist! 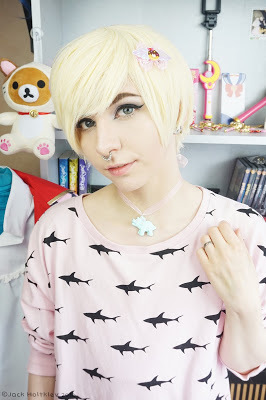 It’s a nice, bright blonde wig that works good both for cosplay and fashion. It has a good amount of hair without getting too thick. It was rather soft when I received it, so to style it like this I had to use a bit of hairspray. Here, you can take a look at the pictures! 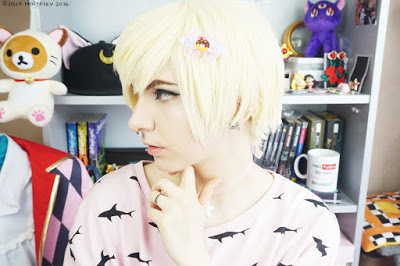 My plan is mainly to use this wig for fashion looks and a few cosplays, and I’m looking forward to try out cute boy-ish fairy kei inspired looks with it! 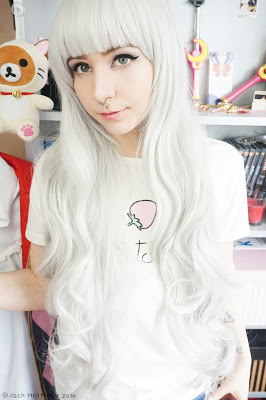 This beautiful wig, is something I got thinking of the Sophie Hatter cosplay. It’s thicker than the wig I originally thought of using. It is a pretty silver color, with both enough grey and white mixed into it, to look even. Also the texture and the waves on the wig is just stunning and I think of some sort of moon princess from a fairy tale! 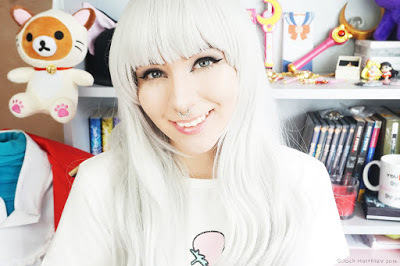 It originally had a long fringe, but I decided that I wanted straight bangs like these, so if you want to know how it looked before I cut it, watch the video I linked at the beginning of the post! This is a wig that I have purchased before, and it’s been my favorite ALWAYS. It’s the perfect match between white and silver, it’s perfectly thick, and I don’t need to cut it at all because I can do whatever I want without much effort. It works so well for any look, fashion as well as cosplay! 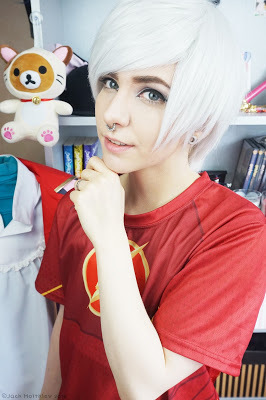 It makes me feel confident and I would really recommend it for cosplays like Kaneki Ken, Shion, and Jack Frost, if only a few! You have seen me wearing this so much already, and I will wear it until it falls apart, basically. 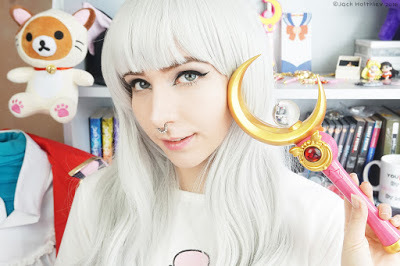 Check out Wig-supplier.com and also Rolecosplay.com for more wigs and also costumes! 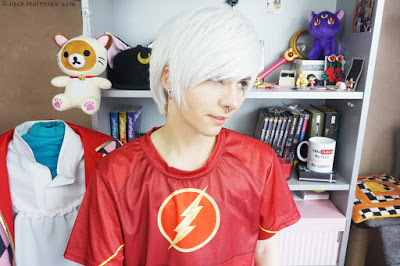 This entry was posted in Buy Cosplay Wigs, L-email Wig review and tagged 40cm medium cosplay wig, cosplay short wigs, L-email wig review, silver wig, wig-supplier reviews.